Rogue Wave is a sculpture by Rick Silas which was uploaded on July 16th, 2010. This sculpture was created using Rick's patented technique of bending glass without heat. 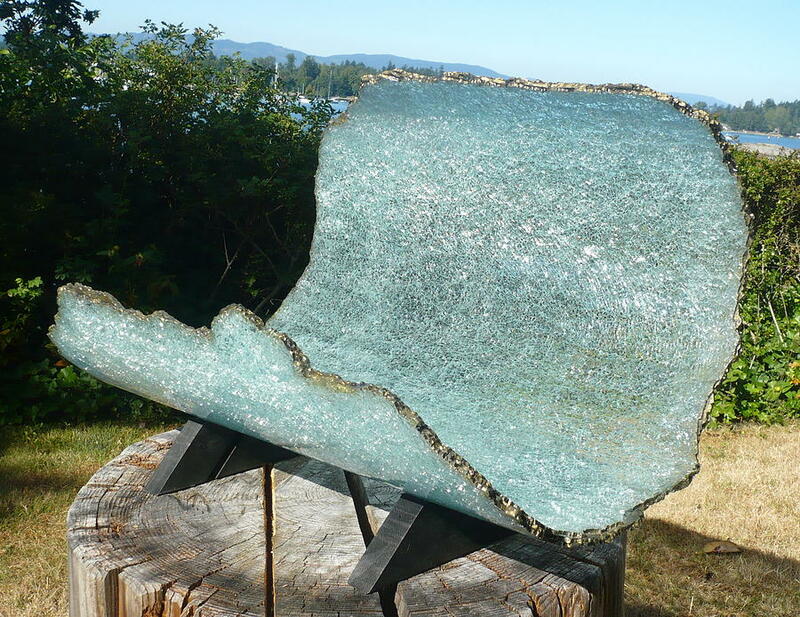 It is made using 3 layers of reclaimed tempered glass and made to resemble a wave in full curl. The piece is designed for indoor use and would make a beautiful focal point in a room. When lit the sculpture glimmers like the sun on the ocean. Update: This piece was donated to the Saanich Peninsula Hospital Foundation.